Epic Electric Works to Keep you and your Family Safe! In our work as electricians, we come across many hazards in the day to day. Some are apparent hazards, such as too many devices being powered by a single outlet, or improper handiwork around the house. Others are less apparent, like improperly mounted televisions, or open electrical outlets waiting to be prodded by a curious child. These may not seem like great dangers, but that is the illusion of safety many electronic products provide. 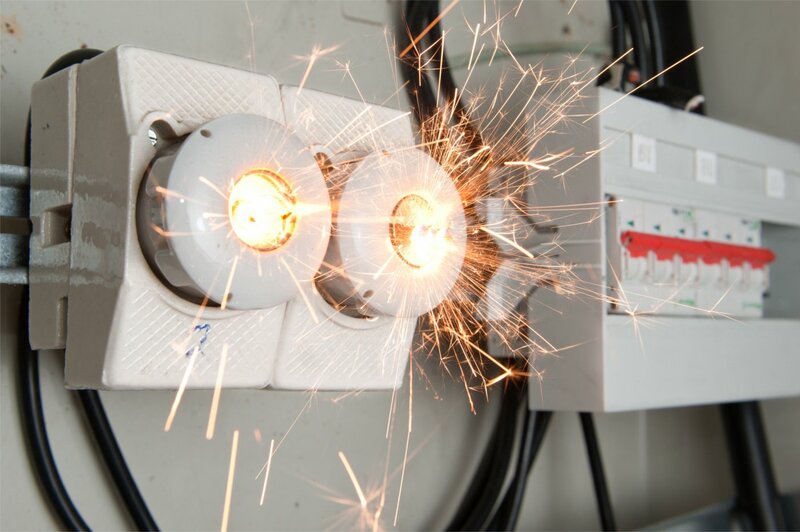 To make sure your family is not at risk of these high-powered dangers, follow us on a tour of electrical safety, with the experts of Epic Electric! What Electrical Hazards Exist in my Okanagan Home? 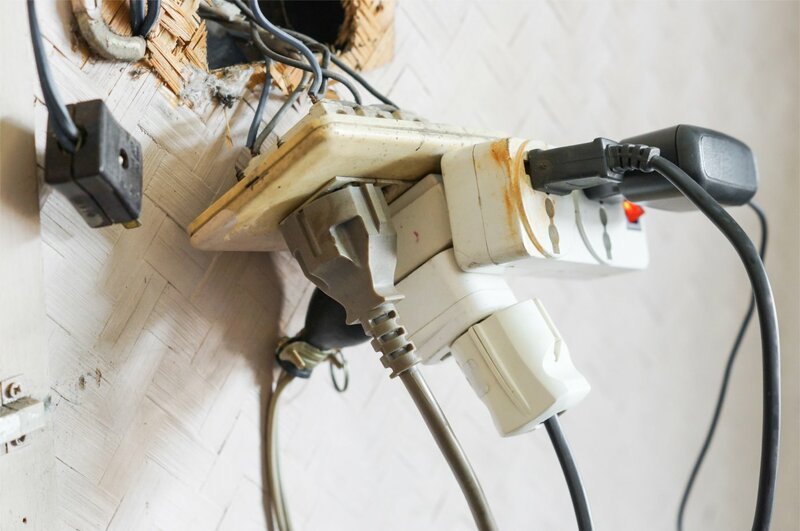 Let’s start with the most common hazards: power bars, surge protectors, and extension cables. A power bar adds additional ports to an existing wall outlet. Given that wall outlets can output as much power as the circuit of your home allows, you can draw a fair bit of power from a single outlet without the risk of a fire. However, the risk comes in when these power bars are “daisy-chained” together. Daisy-chaining is when you connect one bar to another, or add an additional extension cable to a power bar. These devices (power bars and extension cables) are only intended to be used as a single device on a single outlet to power several devices – adding an additional bar to any power strip or surge protector puts you at an immediate risk of fire or power failure. To sum up, only ever connect a single power strip/bar/surge protector to a single power outlet, never any more, and never daisy-chain them together. Lastly, most surge protectors are rated in joules for the number of surges they can withstand. 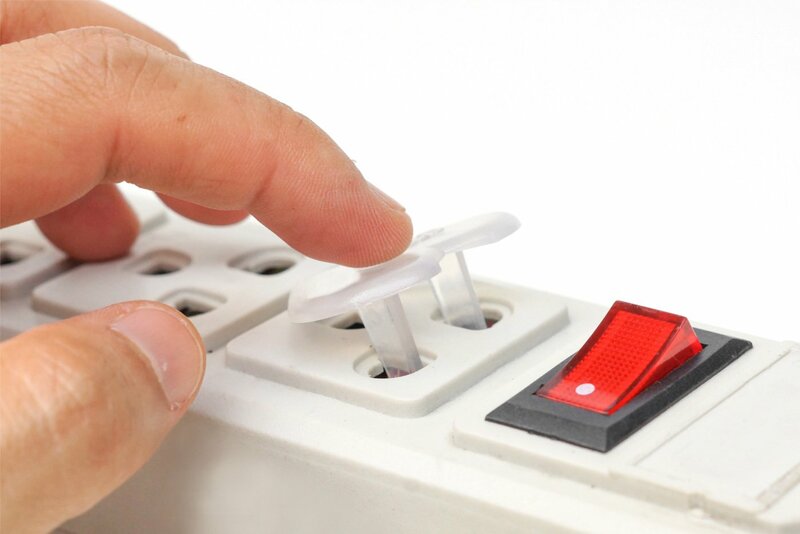 Only buy surge protectors that include an indicator light which turns off when the joules protecting your devices have been used up, and it can no longer withstand a surge. Following these tips will keep your electronics functioning, and prevent any unforeseen fires from erupting. 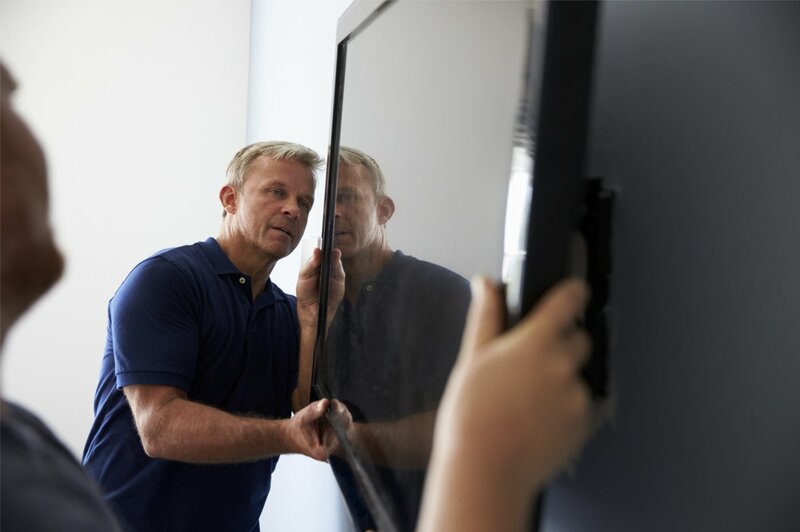 Another hidden hazard that is frequently popping up in each room of a household is the flat-screen TV. When wall mounting, ensure that the TV is fully secured using all the included safety equipment. The one essential piece of equipment that people most often miss is a locking bar which ensures that you cannot pull the TV off the wall, and it will not fall unexpectedly. Test the sturdiness of your mount, and consider hiring an expert to properly mount your new flat-screen TV. Not only are wall mounted TVs a risk to your family, the standard table mount that comes packaged with all flat-screens are often insufficient in preventing tipping. In recent years, some manufacturers have begun to move the legs of the table mount away from the center of the screen, and towards the edges instead. This has been done to increase the “tipping point” of the television, meaning it takes a much stronger impact to knock it over. The center mounted table stand is at a much higher risk of tipping, so consider having the TV wall mounted properly, or using an entertainment unit that will prevent the TV from falling on anyone should the unfortunate happen. A less common concern, but an important one nonetheless, is to hide or cover power outlets to stop a curious newborn from inserting something into an open outlet. This can be done with plastic outlet covers, but those can be a choking hazard themselves. Your best option is to attempt to hide unused ports behind furniture or other blockades that will prevent these from being accessible in the first place. To learn more about electrical safety, or to have an expert inspect or install your electrical equipment, give a call to the professionals of Epic Electric Kelowna at 250.859.5195!